Noorani is a sought-after commentator, and has been interviewed by the New York Times, the Washington Post, the Economist, the Associated Press, and by several other national, regional, and international media. He is also a frequent guest on a range of television and radio shows, including MSNBC, Lou Dobbs Tonight, The O'Reilly Factor, the Sean Hannity Show, Washington Journal, PBS Newshour, Fusion Magazine, NPR (the Diane Rehm Show, On Point, and Marketplace), and is an op-ed contributor to CNN.com, Fox News's Latino, among others. Noorani is a regular guest on local talk radio shows across the country. 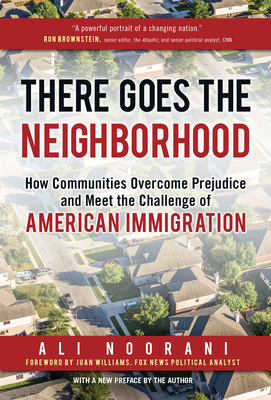 "An essential book to understand the fear, challenges, and opportunities on both sides of the immigration debate.... This book, in many ways, explains why Trump won the election and why an honest debate on immigration is urgent. Your neighborhood depends on it."